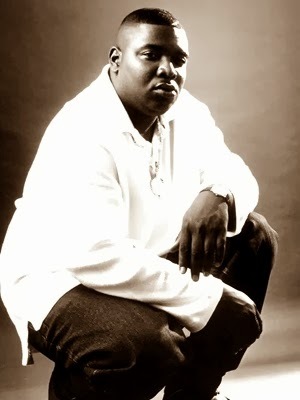 Fat Pat, musician, rapper, and one of the original members of DJ Screw’s Screwed Up Click (S.U.C. ), was born Patrick Lamont Hawkins on December 4, 1970, in Houston. He graduated from Sterling High School in Houston. Hawkins’s career took off in the mid-1990s alongside his older brother Big Hawk, Lil’ Keke, and others as pioneers of the Screwed and Chopped phenomenon in the group S.U.C. Hawkins performed at numerous Houston nightclubs, parties, and freestyle garage sessions. He signed with Wreckshop Records and began recording his debut album. Guy Morrison Bryan, legislator, Confederate officer, and judge, son of James and Emily Austin Bryan, was born at Herculaneum, Jefferson County, Missouri, on January 12, 1821. His mother was the sister of Stephen F. Austin. James Bryan died in 1822, and Emily married James F. Perry in 1824. In 1831 the family moved to Texas and lived at San Felipe and at Pleasant Bayou until December 1832, when they located at Peach Point Plantation in Brazoria County. Bryan was boarding with Josiah H. Bell to attend a school taught by Thomas J. Pilgrim in March 1836, when he was selected as a courier to carry the William B. Travis letter written at the Alamo from Bell's Landing to Brazoria and Velasco. Bryan accompanied his mother on the Runaway Scrape and after her return home visited the battlefield at San Jacinto and enlisted in the Texas army as orderly for Alexander Somervell. 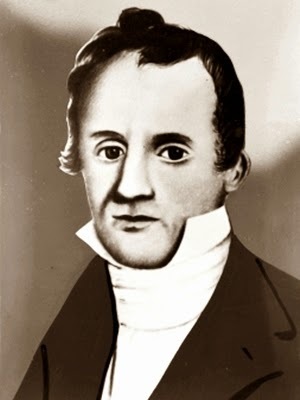 Bryan attended school at Chocolate Bayou in 1836 and 1837 and in May 1837 entered Kenyon College, where he graduated in 1842. 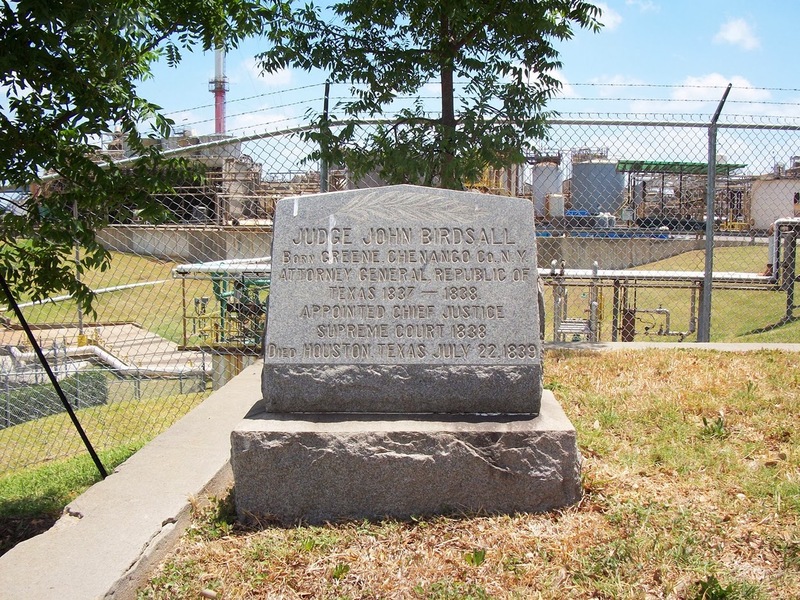 He returned to Texas and studied law in the Brazoria law office of William H. Jack until failing eyesight ended his law studies. 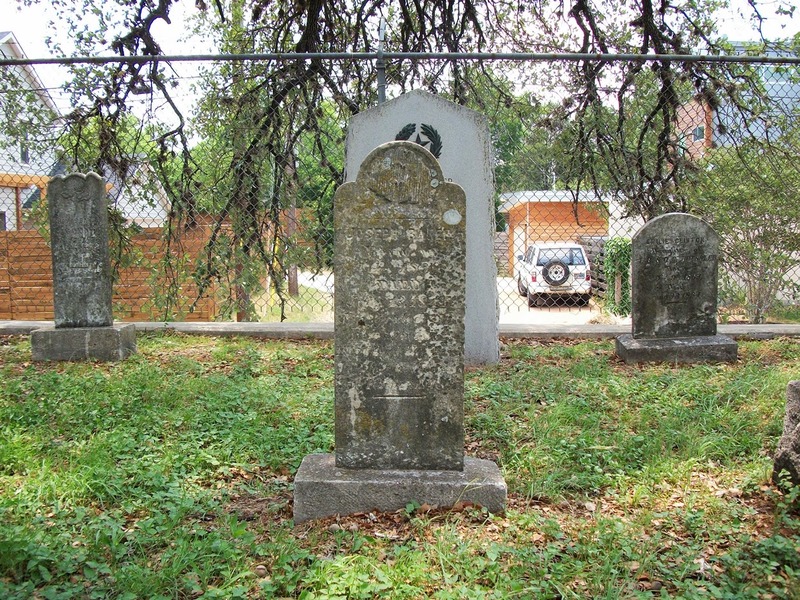 Soon after the outbreak of the Mexican War, Bryan enlisted in a Brazoria volunteer company and was in service under John C. (Jack) Hays east of the Rio Grande until he had to return home with his brother, Stephen S. Perry, who had become ill. In 1847 Bryan was elected to the Texas legislature. He served six years in the House (1847-53) and four years in the Senate (1853-57). On October 20, 1858, he married Laura H. Jack, daughter of William H. Jack. She accompanied him to Washington, D.C., where he represented the Western District of Texas in the Thirty-fifth Congress, 1857-59. 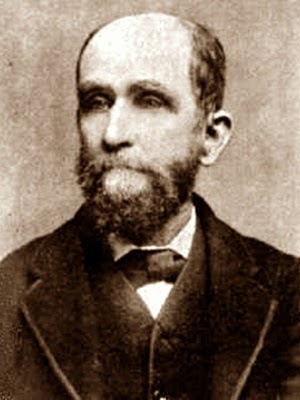 His testimony before the House probably caused the collapse of the impeachment case against John C. Watrous. 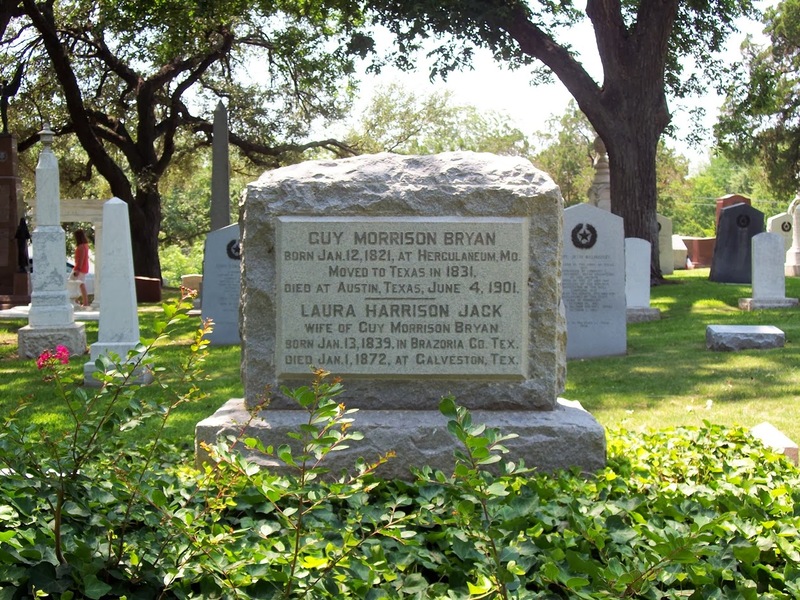 Bryan moved to Galveston in 1860 and operated ranches in Galveston and Brazoria counties. He was a delegate to the Democratic National Convention at Charleston, South Carolina, in 1860, and as chairman and spokesman for the delegation led in the split from the convention. Howard Hughes, aviator, movie producer, and billionaire, was born in Houston, Texas, on Christmas Eve 1905 to Allene (Gano) and Howard Robard Hughes, Sr. Sonny, as the family called him, grew up in the upper crust of Houston society. Like his father, he enjoyed tinkering with mechanical things, and as a youth he built a shortwave radio set and started the Radio Relay League for amateurs. Because of his father's traveling, Hughes became close to his mother, who constantly worried about her son's health. At the slightest hint of an epidemic, she would take him out of town. In 1919 Hughes was paralyzed for a short time by an unexplained illness. The young man developed a lifetime phobic regard for his health. He also grew up a loner whose only solid friend was Dudley Sharp, son of his father's partner, Walter B. Sharp. His father sent him to a private school in Boston, where he did fairly well in classwork and excelled in golf. On a visit to Harvard, his father took him on a plane ride, an experience that stimulated a life-long love of aviation. 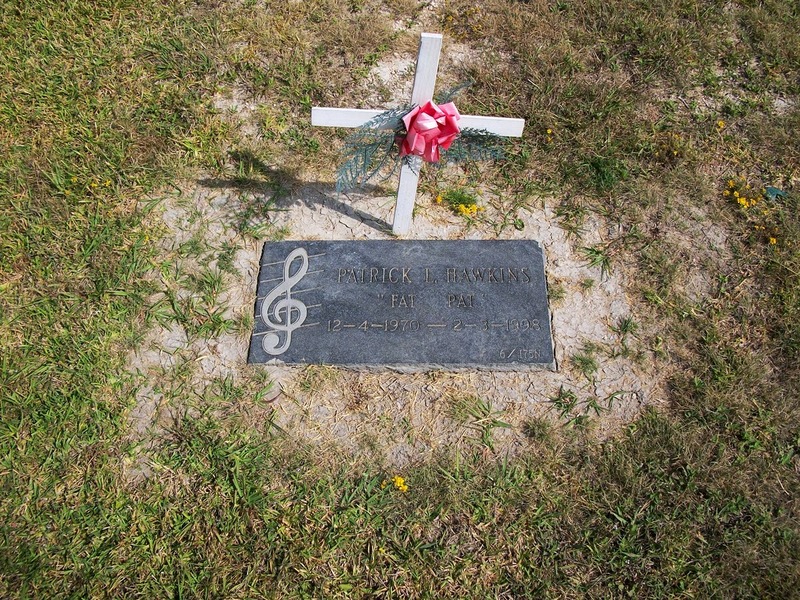 While Howard was attending the Thacher School in California, his mother died, on March 29, 1922. In California, Hughes spent time with his father's brother Rupert, a writer for Samuel Goldwyn's movie studios. Although Howard had no high school degree, through his father's intercession (and donation), he sat in on classes at Cal Tech, then returned to Houston and enrolled at Rice Institute. 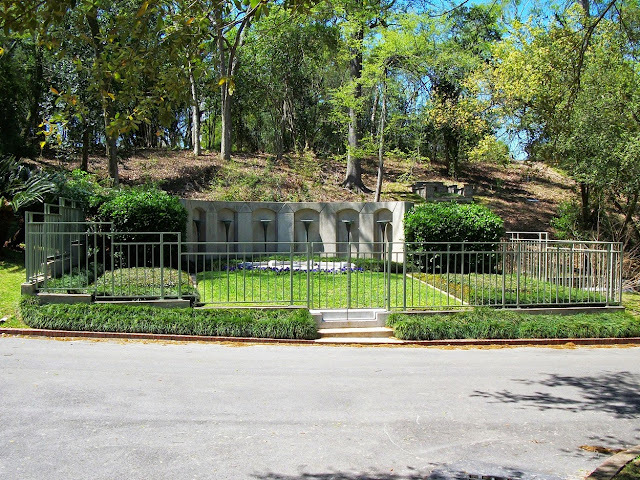 On January 14, 1924, the elder Hughes died suddenly in Houston. At age eighteen Howard received access to a large part of the family estate and dropped out of Rice. Rupert Hughes agreed to supervise Howard's part of the estate and interests in the Hughes Tool Company until he was twenty-one. Howard quarreled with the family and had company lawyers buy out his relatives. Through the decision by a Houston judge, who had been a friend of his father's, Howard was granted legal adulthood on December 26, 1924, and took control of the tool company. On June 1, 1925, he married Houston socialite Ella Rice. After a summer of tinkering with a steam-powered car, Howard and Ella headed for Hollywood. Howard wanted to make movies. After a first effort that flopped, he hired Noah Dietrich to head his movie subsidiary of the tool company and Lewis Mileston as director. In 1928 Mileston directed Two Arabian Nights and won an Academy Award. Hughes worked next on his epic movie Hell's Angels, a story about air warfare in World War I. He wrote the script and directed it himself. He acquired eighty-seven World War I airplanes, hired ace pilots, took flying lessons and obtained a pilot's license. He crashed and injured his face. As he spent little time at home, Ella divorced him in December 1929. Since talkies had become popular, Hughes added dialogue scenes to Hell's Angels that included actress Jean Harlow. The movie, released in June 1930, had cost $3.8 million, the most expensive movie to that date. Though Hell's Angels was a box-office smash, Hughes actually lost $1.5 million on it. He was now accepted by the Hollywood establishment, however, and went on to produce Scarface (1932), which was decensored after he sued the censorship agency. His later film The Outlaw (1941) also was controversial because of promotional publicity. In 1932, Hughes acquired a military plane through the Department of Commerce and converted it for racing. When the costs rose, he formed the Hughes Aircraft Company as a division of Hughes Tool Company. Since Charles Lindbergh's license number had been 69, Hughes (whose number was 4223) badgered the Department of Commerce to lower his number to 80 in 1933. He signed on with American Airways as a co-pilot under the name Charles W. Howard to gain experience. The deception was immediately discovered and Hughes resigned, thus leaving the only job he ever had. In 1934 he entered his converted Boeing in the All-America Air Meet in Miami and won. Afterward, he gathered a group of engineers and technicians to work on the H-1, the most advanced plane of its time. He personally test-flew the plane himself and precipitated a power struggle in the Hughes empire when he placed Vice President Dietrich in control of his holdings. Meanwhile, on September 13, 1935, Hughes set a new land-speed record of 352 miles per hour with his H-1 (he called it Winged Bullet). In 1936 he set a new transcontinental record, and the next year he shortened the record to seven hours and twenty-eight minutes. Hughes was now immensely popular and was hosted by the president at the White House. He next converted a special Lockheed 14 for an around-the-world flight. He studied weather patterns and installed an autopilot and four radios to make contacts along his route. He and a four-man crew left New York on July 10, 1938, and cut Lindbergh's record in half in his flight to Paris. He personally piloted the plane on the flight. Hughes landed in New York on July 14, 1938, having circled the globe in three days, nineteen hours, and seventeen minutes. He was honored with parades all over America. Houston briefly renamed its airport (now William P. Hobby Airport) in his honor. He now decided to invest in military aircraft, and sought to sell his planes and ideas to the government. 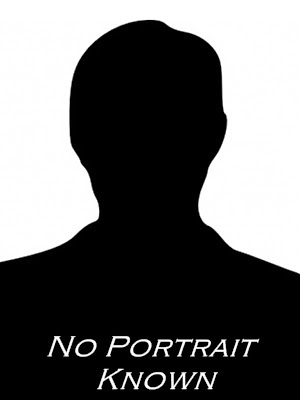 But he veiled his plans in secrecy and ignored regulations and protocol. 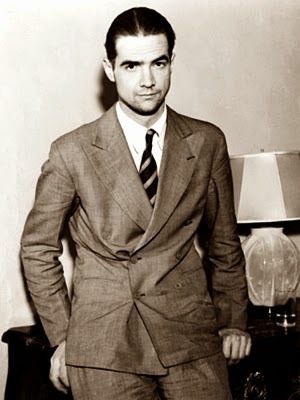 He also insisted on building planes out of plywood using a "duramold" process, when the industry standard was aluminum. When the Army Material Command declared that the airplanes could not be made combat ready, Hughes used friends in Washington in an attempt to go over their heads. At last, shipbuilder Henry J. Kaiser got Hughes a contract. Kaiser convinced the government that a fleet of gigantic flying boats was needed to ferry men and supplies across the ocean. On November 16, 1942, Hughes Aircraft won a contract to build three flying boats at a cost of up to $18 million in ten months. Hughes declared the goal impossible to meet, and the contract was canceled. On March 27, 1944, after Hughes's lobbying in Washington, he received a contract for one flying boat. Only one HK-1, which the public called the Spruce Goose (a name Hughes hated), was built. He successfully flew the craft on November 2, 1947. On October 11, 1943, Hughes also received a contract for 101 of his D-2 (XF-11 reconnaissance) planes. The XF-11 was an aluminum redesign of the wooden D-2. At the end of World War II in 1945, Hughes won permission to complete the two prototypes under construction. In 1946, in his first flight of the XF-11, he crashed in Beverly Hills. This was his fourth crash (in November 1943 he had hit Lake Mead in a crash that killed two people). He successfully flew the second prototype on April 5, 1946. In 1947 a Senate war investigating committee questioned him at length about his failure to deliver on wartime contracts. Hughes remained active in the 1950s. In 1948 he had purchased the movie studio RKO, and in 1955 he sold it to the General Tire Company for profit. Hughes also invested in Trans World Airlines, and in 1956 pushed the company into the jet age by purchasing sixty-three jets. He quarreled with engineers at Hughes Aircraft in 1953, causing a shakeup that imperiled contracts with the Pentagon. That same year, he founded the Hughes Medical Institute in Delaware, thus funding the Medical Center he earlier had designated as the main recipient of his will. In 1957 he again shook the Hughes empire by firing his long-time associate Noah Dietrich. During the 1930s in Hollywood Hughes had squired many actresses and socialites, particularly Katherine Hepburn. In 1957 he married actress Jean Peters; the marriage ended in divorce in 1970. Hughes remained in Los Angeles until 1966, then began traveling and eventually rented a penthouse in the Desert Inn in Las Vegas. When lawsuits were filed against TWA, he sold his stock in 1966 for $546 million. The next year he began buying properties to build a business empire in Nevada. In 1970 he took over Air West. By this time he was becoming increasingly reclusive and conducted most of his business through memos. He now had little control over his empire. Chester Davis, Raymond Holliday, and Bill Gay, Hughes Tool Company executives, ran his Nevada properties. In 1972, Hughes sold Hughes Tool Company stock to the public and renamed his holdings company Summa Corporation. This ended his role as a businessman and entrepreneur. In poor health and accompanied by a squadron of personal aides, he went to Panama, Canada, and London, then to Acapulco. He was indicted in a case relating to the Air West takeover, but it was dismissed. Hughes allowed a CIA ship, the Glomar Explorer, to work through one of his companies to recover a sunken Soviet sub. In Los Angeles a break-in occurred at the Hughes headquarters, and many of his personal papers were stolen. With his health rapidly deteriorating, he boarded a plane en route to a hospital in Houston on April 5, 1976, but died on the way. The Treasury Department made fingerprints to confirm his identity. Gulf War vet, leukemia survivor, and the proud daddy of a beautiful Beep. I crawl around old cemeteries for fun and profit.